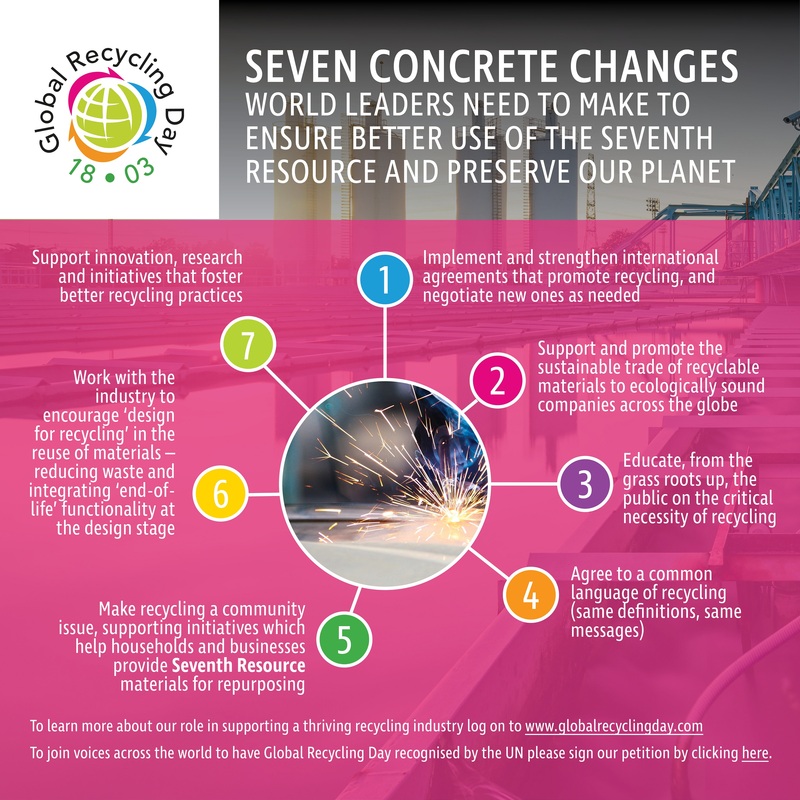 There is a numerical theme to Global Recycling Day … the number seven. As we are urging the world to reconsider recycling matter as the Seventh Resource – the vital materials we should be using and reusing – so we are asking governments, business and community leaders from across the globe to make some necessary commitments when it comes to recycling. We are asking world leaders to make seven commitments to ensure better use of the Seventh Resource. We want them to educate from the grass roots up, to make the issue of recycling both a community and a global issue and to find a common language so every nation’s approach to recycling is unified, we want them to support recycling initiatives of all shapes and sizes. Recycling is too important not to be a global issue, and we need leaders from every country across the planet to recognise this.